Dog sledding is a national passion in Switzerland: it is for a good reason that one of the best European camps for training sled dogs is located in the forest village of Saint-Cergue, nested behind the Jura mountain. The way into the huskies’ realm goes through sunny pine forest along the picturesque route Jura Alpine Trail from the mountain of La Dôle in the valley of the Col de la Givrine. Slowly climbing the hills, narrow path tries to hide under the soft fragrant carpet of pine needles and dusty grass. In winter there are marathon tracks for cross-country skiing, and in summer it is a road for cyclists and connoisseurs of inspirational landscapes. It is easy to imagine yourself as Lord Byron, overlooking the east coast of Lake Geneva, the Savoie-Mont-Blanc region from a height of about a thousand meters above sea level! But do not get used to the image of Manfred: the village of Saint- Cergue glorifies romantic appeal pierced by the frosty breath of northern stories by Jack London. Among the vast expanses of the Jura National Park, vigorous sled race knows no obstacles as waves of excitement encourage brisk huskies. In addition to breeding dogs for their own purposes, the owners of the sled dog training facilities camp train dogs for both famous athletes and enthusiasts. 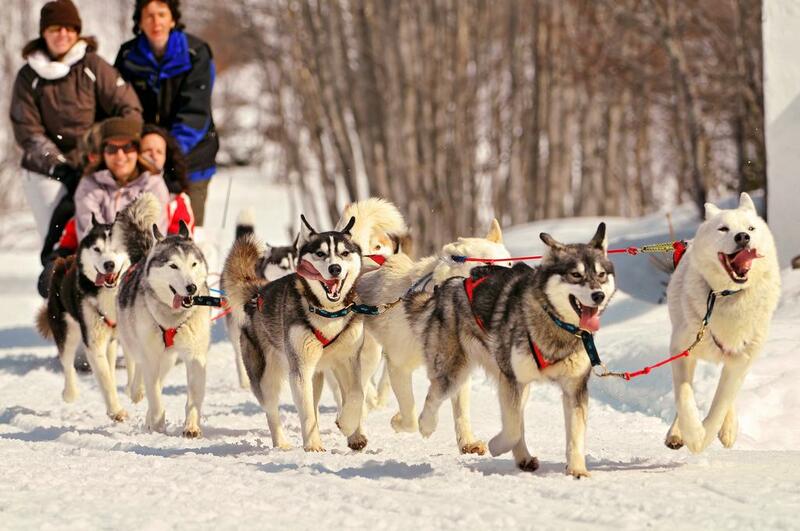 Four-legged athletes have busy schedule: the first acquaintance with sled and pulk (low-slung small toboggan) usually occurs when a puppy is about five months old, and after three or four months a young dogs go in harness from 4 to 6 kilometres keeping the line taut. Summer vacation is not for huskies: sled is replaced by two-wheeled carts, and a pulk by scooter in tow. 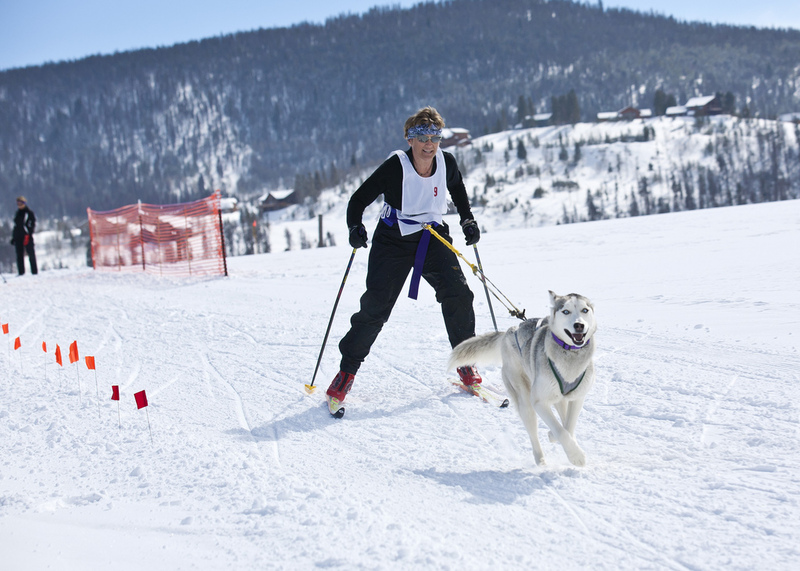 Also, dogs are trained in skijoring that is pulling skiers with a rope, and for a difference, there are strength exercises for pulling carts, disciplining field races in one tempo with the trainer. Future champions should be developed harmoniously: speed without strength and endurance does not worth much, and strict discipline reveal animal’s virtues to the full extent. Upon reaching maturity dogs begin to conquer long training trails. Weight load depends on the quality of the snow cover, the complexity of terrain, target speed and the number of animals in harness. On packed snow dogs have to overcome 120 kilometres for 12-14 hours with a load of about 60-65 kilograms per head; light runs have speed up to 20 kilometres per hour, and during competition sled accelerates to 50-52 kilometres per hour. Training a sled dog requires patience and delicacy, almost without interfering with severe techniques. Proud descendant of White Fang would not sit and lie down on command, throwing languid gaze at his beloved master. 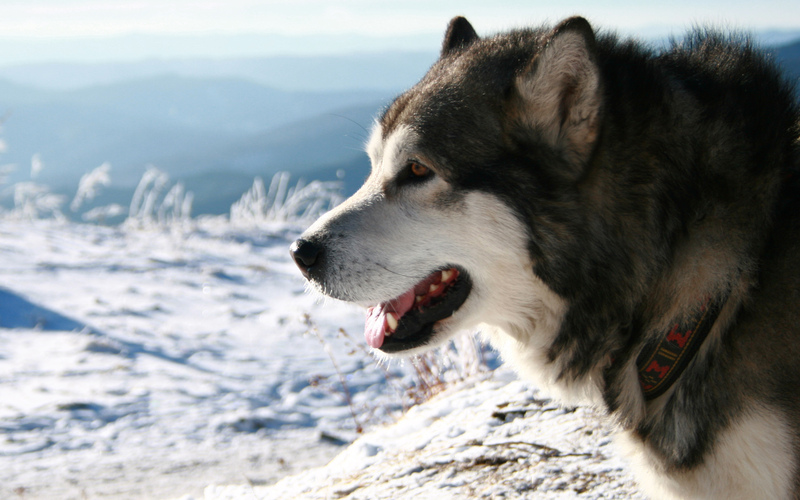 Even without claim to be the leader, husky dog should freely navigate in unfamiliar environment and make decisions quickly without musher’s tips. It is a real challenge to subordinate wayward child of a severe nature: North aboriginal breeds have been formed by natural selection, focused on self-survival these dogs do not tend to lay themselves out for bait. Duress approach usually fails: punished dog shrinks into itself and refuses to cooperate with a musher. The best mentors of young huskies are not people, but experienced senior dogs having authority in the pack. While sled breeds are strong by their team spirit, every runner is fed individually, otherwise rank struggle for food can quarrel the dogs. Racing season in Switzerland brings alluring opportunities for newcomers. Every winter the country hosts dozens of prestigious tournaments. In early March, the strongest European teams fight for the first place in the race and skijoring at valley Les Mosses, rapidly overcoming distance from 8 to 16 kilometres of the circular track from L'Arsat to La Léchère in the vicinity of the famous Les Diablerets resort. To acquire competitive experience from December to March, every weekend there are husky racings in Beatenberg that is an excellent school of a young canine soldier. Most seasoned four-pawed athletes set new records of endurance and perseverance in the race over rough terrain on a plateau in the Le Franches-Montagnes, punching their way through the white splendour. Tournament organization is responsibility of the European Sled Dog Racing Association, the oldest association of sledding sports registered in 1973. Not every Husky is able to withstand enormous loads of professional sport. For the sake of winning in speed, cross-country competitions welcome the friskiest huskies and mongrels of northern breeds which were bred with hounds and gun dogs. The pedigrees of the best sprint racers record blood of pointers, greyhounds and kurtshaars. Pure-bred malamutes and samoyeds participate in inbreed and amateur races, entertain tourists at folk festivals and introduce some exotic into the après-ski industry at the fashionable ski resorts. For the promotion of sledding sports in winter in Saint-Cergue they pave the five-kilometre high-speed line sled riding through a snowy forest, trying to capture the most beautiful landscapes. At the Team Nature sled dog training facilities camp novice riders are offered courses on mushing dog teams and training sled dogs. Sled equipment shall be reserved in advance in the tourist centre of the reserve, located in the nearby town of Saint-George. In spare time between races guests can enjoy another leisure with a fishing rod on the shores of Lake Joux; measure with steps the legendary Watch Valley; or take a trip to the village cellars and cheese factories. Indeed, Swiss extreme in gentleman style is courteous and delicious! There is probably no man on Earth who wouldn’t have a Swiss knife or its look-alike. And though the idea of a pocket knife may have originated nowhere near Switzerland, it gained global fame thank to a Swiss Karl Elsener and is now associated unbreakably with his motherland and perfect Swiss quality. OUTLOOK tells the story of the most famous and popular knife of the world. In February Switzerland changes beyond recognition: reckless power of pre-Lent carnivals, insatiable gluttony and cat’s choirs of Guggenmusik rush into the streets. Only evil spirits are kind of weak – same glamorous vampires and emaciated zombies. Want it to become really scary? Head to Lötschental Valley to celebrate Tschäggättä: infernal characters from Alpine folklore will haunt you in your dreams! National flag is a kind of business card, after having a glimpse at it one gets an idea, at least roughly, concerning what to expect from this or another country. OUTLOOK is going to tell you about the most outstanding of them.